As I carefully plan each step, press of a button, text, and message my mind races with questions! Mostly why? I must be attracting this question to myself…because almost everyday I seem to answer Why? For example, I have become more and more engrossed in my message and vision, behind the concepts of my book. Not saying this is bad, but difficult to explain. NO! NOT ANYMORE! I simply ask Why not? Here is the best answer I know, besides why not! Because every boy and girl, who gets up and goes to a school, despite all the terrible incidents lately. They deserve for me to at least try! Because my dear friends who believed in me enough to allow me to coach them, to a happier state, deserve to share their story and help another. Because the homeless, weak, sick and sad people deserve to feel good. Even if for a moment, long enough for one ‘happy’ thought. Becuase WE HAVE ALL HAD THOSE TIMES WE FELT LIKE GIVING UP! But because we didn’t, we can rejoice about living each day to the fullest! Because you, YES YOU, are important to this world. We need your story! We, the world need you to live on! How? Send me happy thoughts, smile at someone today, give a hug away, share this post, @Jimmy Fallon have me as a guest, be aware of your life…ENJOY! 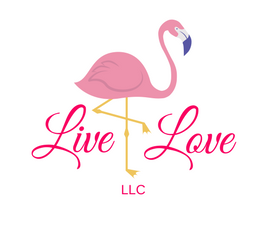 Email me…Livelove.teena@gmail.com maybe you want to share your story, maybe you need a little message for the day, maybe you are ready for a Life (Happy) Coach. Or just send me a Happy Thought! This entry was posted in adventure, anxiety, children, communication, depression, Energy, family, Fear, friends, God is good, grief, guilt, Happiness, Jimmy Falon, law of attraction, Life (Happy) Coaching, Like Begets Like, Love, marketing, Motivational Speakers, NBC, Suicide and tagged action, behappy, Happycoaching, happythoughts, jimmyfalon, lifecoaching, motivational, NBC, shootings, suicides on May 31, 2018 by teenadrake. If you have been reading my blog you will know I am on a magnificent journey and I want to share it with you…so come along and enjoy with me! As I laid in bed this morning I continually received a message to write about the down moments or the not so happy thoughts. Which I don’t like to do very much. However, it is a portion of life we all deal with just some more than others, so here it goes. 4:00 A.M. eyes pop open brain is racing, get up go to the restroom and go back to bed. Sound familiar? Only to close your eyes tightly and beg to go back to sleep! That’s what happened to me this morning. I would toss and turn, cover up only to strip off the blankets slowly almost like a form of bedtime excercise. Finally, I laid as still as possible to keep from waking up my husband. BAM! then it began! What began? You ask? The flood! A flooding of thoughts, emotions, past scenarios, negative events, sadness, hopelessness, fear, anxiety, criticism the list could continue. As I write about it my chest feels heavy, my palms become sweaty, my neck hurts. I search my paradigm (past people, places, events that make up me) for a good connection, feeling or frequency. Anything to counteract this moment or feeling. Why did I have this moment? If things are so wonderful and my life is magnificent, why would I spend the most important time of my day feeling yuk? Those moments are inevitable to life because it’s a frequency. What goes up must come down. Meaning everyone will have moments of struggle or what I like to call trough of the frequency. The one big difference is how long you stay in that state. Bare with me this ending is phenomenal! Let me give you an example: after a beautiful vacation you come back refreshed and ready to go. Then Monday morning comes and you don’t feel quite so inspired that is normal. If you love your career and life this low feeling or sadness will pass quickly it’s just you were so happy and relaxed for that amount of time the routine is difficult get back. However, in a few short minutes (if you are happy) those feelings quickly flee. Notice I continually said if you are happy, if you are on the right path. If you are not then those sad thoughts, feelings, frustrations, which will creep in for fleeting moments for everyone, will not be fleeting, but rather they will stay! I know you don’t want that and I don’t like those feelings so now it’s time to reset! How? Change it, in your mind. Now at first this isn’t easy, but once you make it a habit it becomes fun. Step one listen for a minute to the conscious mind. For example: this morning my mind would say what if they criticize your writings/teachings, what if they don’t like you, what if you are a flop, what about an unnamed person, who I spoke with last night, took offense to the message I gave her. By the time I began playing my game to erase these thoughts I could have cried. I was sad, worried, frustrated and feeling quite disgusting/ fearful. Now it’s time to come back! If your mind says what if? Say in your mind well what if and fill in the blank. Example: what if you never get on Jimmy Falon? My mind says: What if I do and I hug him, all the Roots Band, his announcer (can’t think of his name) and blow big kisses out to crowd!! Okay I know that was my come back, but it was fun and I know you could see it. I have a big smile on my face from just writing it. But you get the idea. I usually don’t even let those what If’s continue but today I did for a little longer to help you. The funny thing is my end result was amazing! Anything, negative your conscions mind tells you, stop it!!! Yes argue with it. Yes bad things have happened in your life, yes you have suffered, yes someone has said mean things to you, but do you enjoy that feeling or what I call is a replay, like watching a rerun over and over again, thinking that it’s being filmed the same way each time. Create the feeling of joy, argue until it becomes fun, don’t fight just reset! Idc what it is you want to have, do, or be!! You can have it! It’s not that I don’t live ‘real’ life I live just like everyone else, I feel those emotions in the valley, the only difference is my life is on such a high frequency that I choose to only be in the valley for short moments, to remember how awesome life really is! Take time today to stop the negative thoughts, experience them but then shut them down. Talk to yourself, create the image you desire! God Bless and never forget you are a gift! This entry was posted in adventure, anxiety, communication, Education, entertainment, family, Happiness, healing, law of attraction, Love, meditate, Relationships, storms and tagged frequency, jimmyfalon, Laughter, life, live, negative, positive, reset, sleeplessnights on June 4, 2017 by teenadrake.